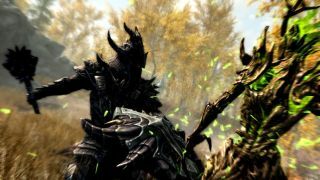 It’s not been smooth sailing for Skyrim’s long-awaited PS4 mods, and now we’ve found out that their maximum size on Sony’s console will be just a fifth of the Xbox One’s. The news came courtesy of an official FAQ from Bethesda, who clarified that mods would have a maximum size of 1GB, compared to 5GB on Xbox One. This size limitation is in addition to the limitation that PS4 mods will not be able to use external assets, meaning that mod-creators will not be able to create new weapons, maps, or custom characters. That mods are coming to Sony’s console at all is a surprise, given that until recently Sony had been blocking the arrival of user modifications. However after a public outcry Sony and Bethesda were finally able to reach an agreement. Considering all these limitations, it’s hard to see how mods on PS4 will be able to match those on Xbox One, but in our experience you should never underestimate the creativity of the modding community to overcome any limitation. Check out our list of the games that are far better on PC than on consoles (hint: lots of them are because of mods).